I have maybe a hundred (or more) feet of metal strapping that I’m using to beef up the wall strength. I’ll attach more strapping to the inside of the studs when my hand heals. It was hard to get the stuff up tight. 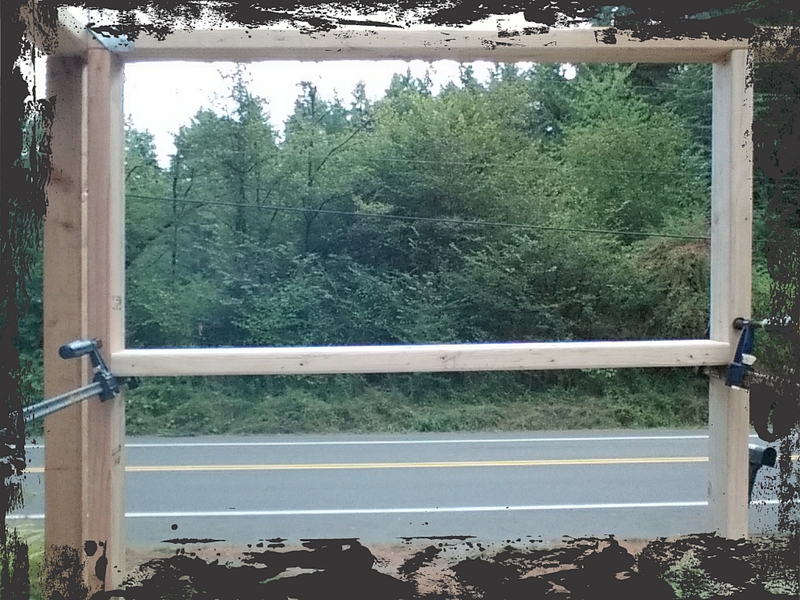 To keep the window rough framing boards in place I used clamps. Solo builders, invest in multiple sizes of them, you won’t regret it. 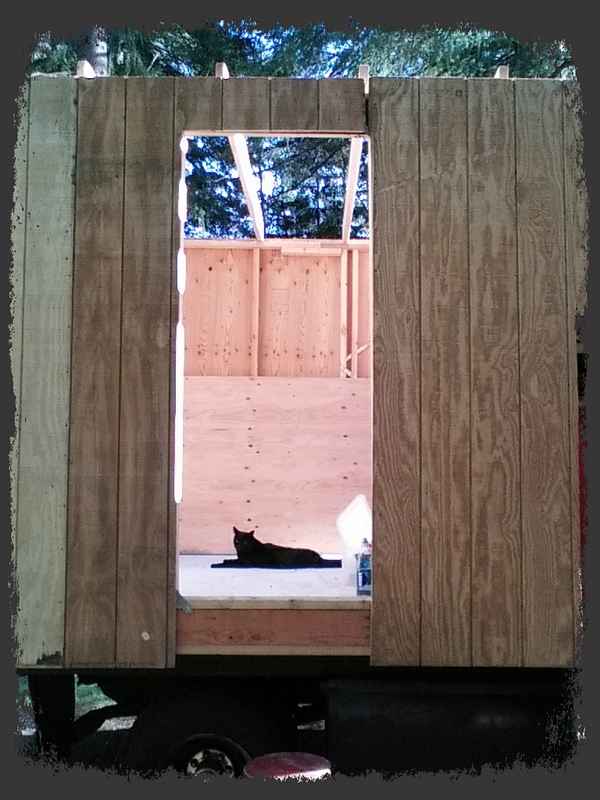 Almost finished framing in the rough openings for the windows along the back wall. I accidentally bent the wood on the left lower side which will need careful placement of shims to correct. 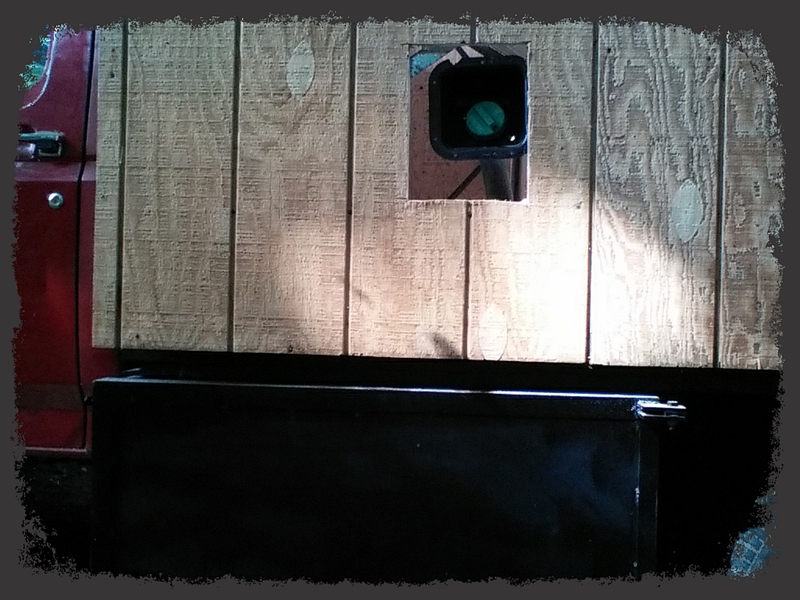 Finally got around to bolting down the cabover. With my new drill bit it went much faster than in the bed area. I do need to deal with the antenna as it doesn’t fit now. 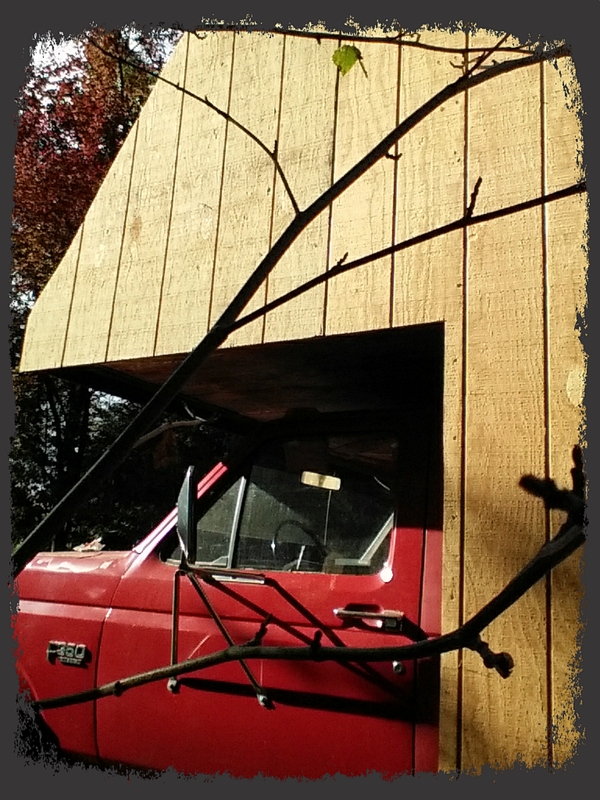 I pre-cut the exterior siding. 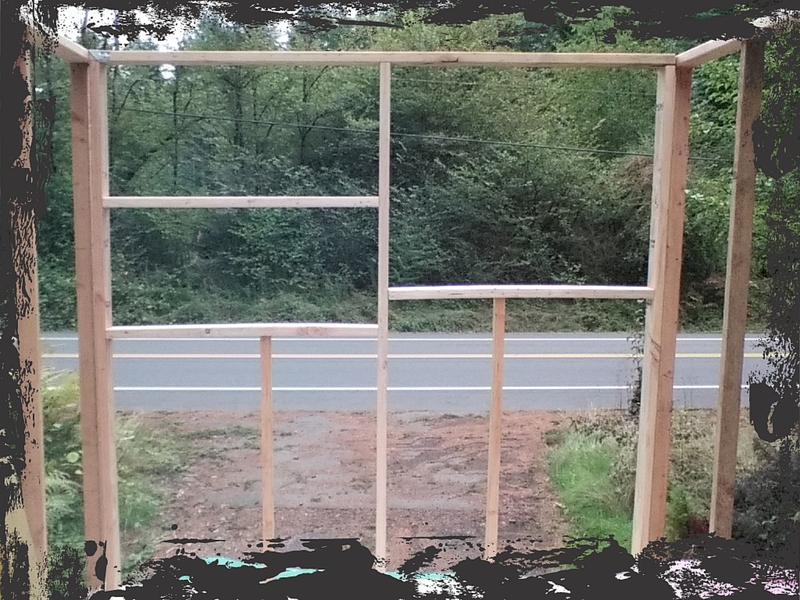 My neighbors agreed to help me attach it so I didn’t need to do so before attaching the framing. 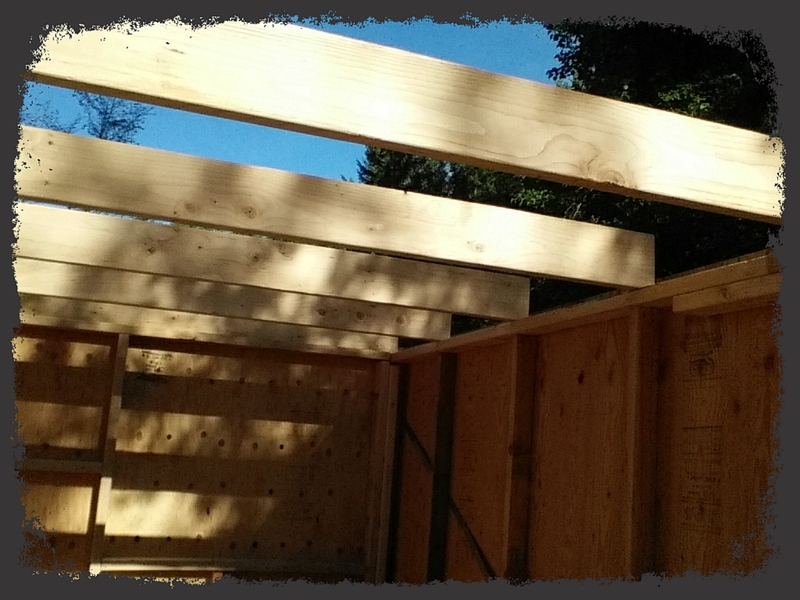 This is “utility” grade sheathing, so there are lots of imperfections. Some will be hidden by paint, some by trim. 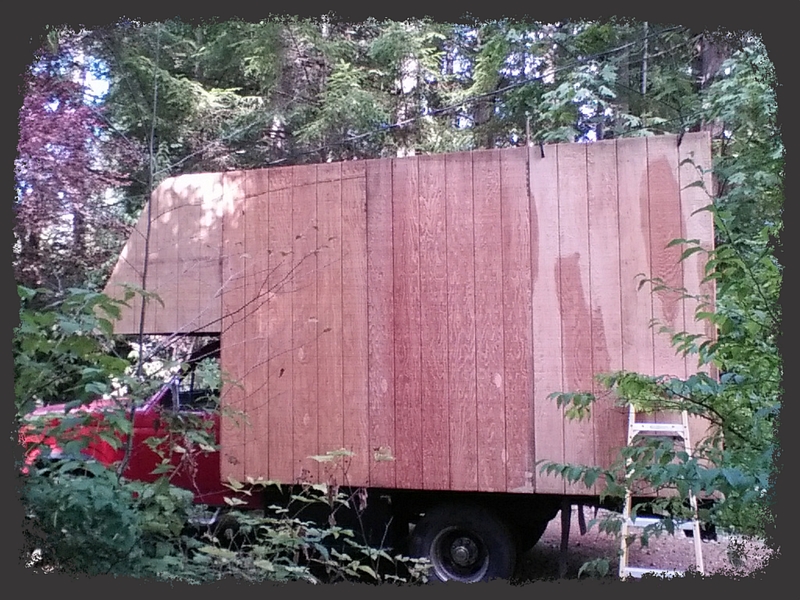 The driver’s side sheathing is in place! I didn’t pre-cut the section just back of the truck door in case of last-minute adjustments. Turns out it fit perfectly so I could have pre-cut it. 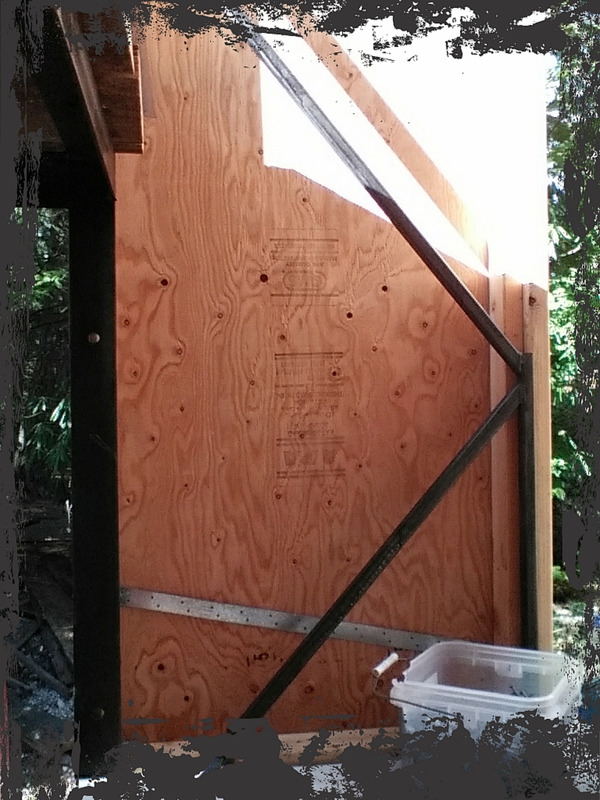 Two sheets of sheathing also fit perfectly. Yay! 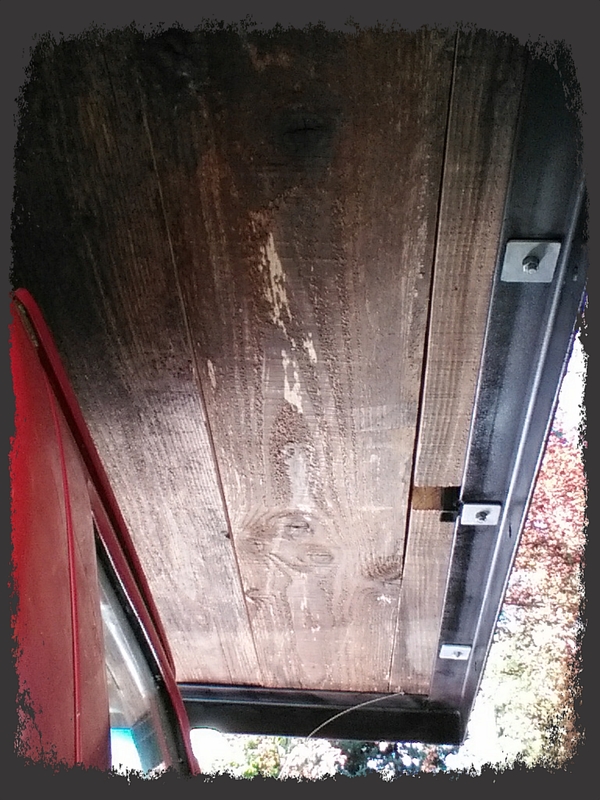 It was a simple task to cut the sheathing on the driver’s side even after attaching it. I’ll build little doors to cover the fuel inlets. Leo decided to photo-bomb. 🙂 Visible on the upper right is a gap showing that I managed to mis-measure this wall by an inch, so the two long walls don’t exactly match lengths. Sigh. I am still unsure of how I want to handle the front of the cabover. I want a big window view that also opens for an emergency exit. 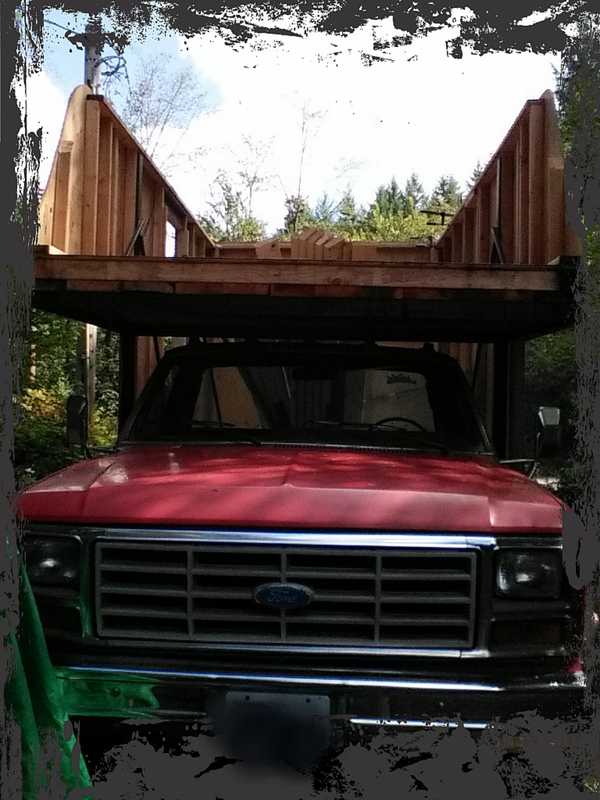 2×6 roof joists attached but still need to buy the 2×6 joist header pieces. 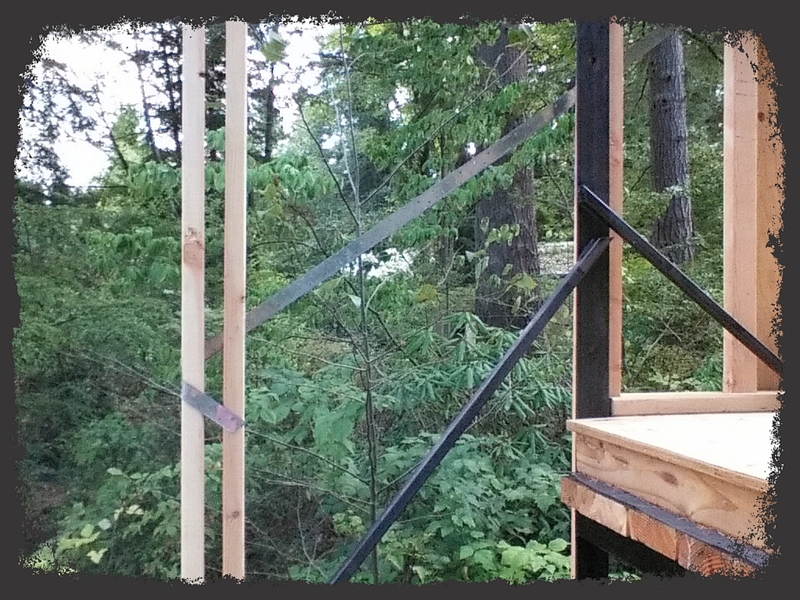 I used leftover lumber to ensure spacing so I can slide the header lumber in between the butts of the joists and the exterior sheathing. This is another picture-heavy post with fewer words. It still hurts to type, especially after all that work! Totally worth it, however, to see Oliver’s Nest looking more homey. I’m getting lots of comments from people now when I take the truck out on errands, as well as from passers-by who stop and ask questions while I’m working. 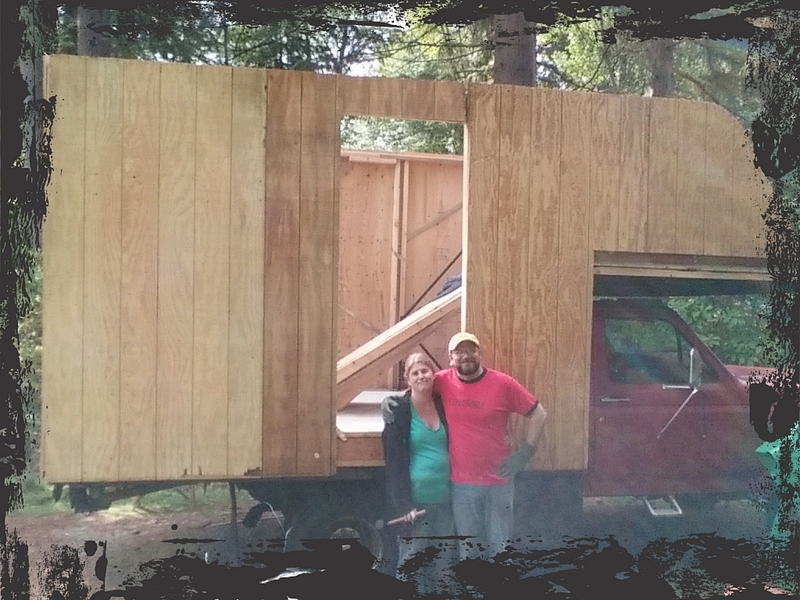 It’s cool that so many people know this will be a house, not just a camper. I’m hearing a lot of praise for the quality of this build. It’s also really fun to answer the number one question: “Who are you having build this?” Answer: Me! I’m not sure how the metal braces help. What is the intent? The metal strapping is also called hurricane strapping, which I’m sure you are familiar with if you’ve ever built anything. It’s to give more shear-strength to the walls as I am using 2x3s for less weight and more room. Placing the straps diagonally gives the extra strength. This blog entry by another DIY builder might be clearer: http://tinyurl.com/nqrzmtx as they’ve included a little diagram. Hope this clears things up? Wow! That’s really awesome to see this start taking shape! I’m trying to finish it so I can go to The Slabs next month and join in the party!